Born in Badajoz on 15 December 2005. Son of musicians, he is in the third year of elementary music at the Conservatory “Juan Vazquez” of Badajoz, with the trombone professor David Taboada Rama. He has attended two courses of his instrument with professors David Rejano and Antonio Lloret. 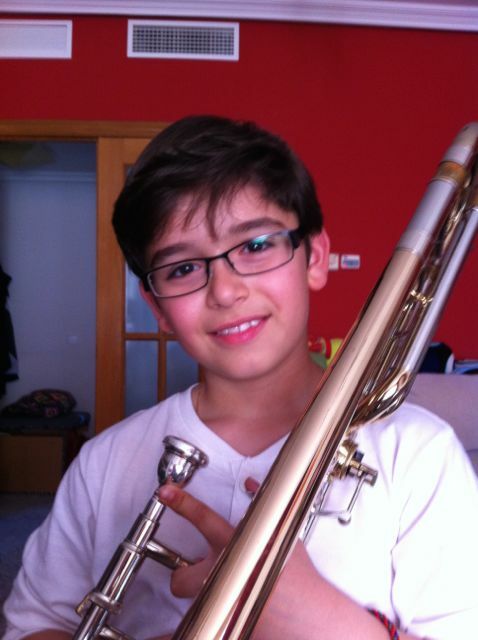 In December 2015 he won first prize in his modality in the First National Competition trombone by the ATE in Valencia.